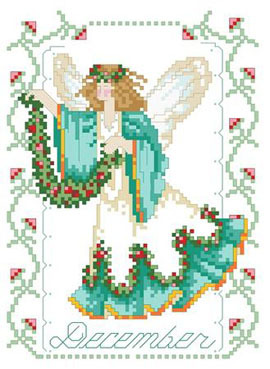 Our December Birthday Fairy is holding a colorful garland of Holly and evergreens. She’s a lovely reminder of the December birthdays. One in a series of twelve faeries.